Baron Wormser, former Poet Laureate of Maine, recently presented a lecture and reading at Misty Valley Books, Chester, Vermont. Titled "The Irony and the Ecstasy: On the Nature of Poetry", the lecture (Episode 10 of 10) was part of the series "Poets & Their Craft" presented by Sundog Poetry Center, Jeffersonville. ✦ "Poetry. . . is a both and art rather than an either or art. It rejects easy, seemingly definitive choices. It rejects black and white. It does not revel in complexity for the sake of complexity but it acknowledges that complexity informs any given moment of ours on earth, and that there is no avoiding that. . . ."
✦ "To be a poet in modern times is to live in the wilderness of information, knowledge, fact, theory, news, the steady drizzle of educated and less-than-educated voices massaging the mass psyche, while what matters to the poet is nothing more than feeling, the stuff of laughter and tears that tells us we are alive, and more than the recipients of articulate babble." ✦ ". . . What underlies poetry is desperation. For poetry that is truly poetry is always urgent language. . . Poetry aims very high as it seeks to reach an unimpeachable concision and latitude. . . ." Poetry, Wormser adds in an aside, "is pretty hard to write." ✦ ". . . Poetry registers what I like to call the thrill of being. Poetry is accordingly rooted in praise, because being is better than non-being—much better. Nothing has to happen for there to be poems. . . ."
✦ ". . . When we speak of a great poet, . . . we are speaking of someone who has a feel for both the depth of life and the breadth. It is hard, though, to go both ways. . . ."
✦ "The artist is both haunted and obsessed. How could there be art without these qualities? . . ."
✦ ". . . One of the gifts of poetry is that it can summon up a great deal in a small space, and not demand some simple resolution or answer. . . ."
✦ "There are no explanations for poems. . . ."
My thanks to CavanKerry Press and Sundog Poetry Center for making the video available. According to the press, the lecture series, as well as interviews with the poets, will air on Vermont PBS this winter. Baron Wormser's 10th collection (from which he reads during the lecture) is the superb Unidentified Sighing Objects (CavanKerry Press, 2015). Quoted from "Epistle II: To a Lady." (1743), Lines 99 and 100. Today's short is the trailer for Peggy Guggenheim — Art Addict (Submarine Deluxe). 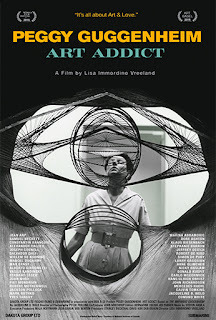 Directed by Lisa Immordino Vreeland, the 97-minute film, which opened November 6 at Film Forum in New York, charts Guggenheim's colorful, unconventional life, 20th Century modern art collection, Art of This Century gallery in New York City, arts patronage, and relationships with artists in numerous disciplines. For another view of the documentary, see the YouTube trailer. Vreeland's first documentary was an adaptation of her book and titled Diana Vreeland: The Eye Has to Travel. Read a review of Peggy Guggenheim at The New York Times. Read an interview with Vreeland in Filmmaker magazine (April 21, 2015). Also see the interview at BOMB magazine (November 10, 2015). ✦ Trained as a painter, Cayce Zavaglia, St. Louis, Missouri, creates extraordinary hand-embroidered portraits. Her meticulous, labor-intensive work left me in awe and deep admiration for her mastery of the needle. Her paintings are marvelous, too. Zavaglia's work is on show through December 6 in "About-Face" at Lyons Wier Gallery, New York City. See the pdf catalogue. Recently Zavaglia was featured at My Modern Met. Read an interesting interview with Zavaglia at Trish Burr Embroidery. ✦ Hungarian textile conservation specialist Herczeg Agnes is herself an exquisite lace-maker and embroiderer. She is a master of the technique known as "needle painting". Be sure to visit her online gallery, which features marvelous combinations of lace and ceramics, lace and wood, lace wall decorations in natural colors, miniature artworks, and lace and coconut shells. Her work is affordable, too! Visit her online shop. ✦ If you have not seen the gorgeous blown and cast glass of collaborators John Littleton (son of the renowned Harvey Littleton, "Father of Studio Glass") and Kate Vogel, visit their Website. See their New Work page as well as Winged Wave. The couple recently appeared at SOFA Chicago 2015. See more of Jon Littleton's and Kate Vogel's work at Maurine Littleton Gallery, in Washington, D.C.
✦ Montana's Kate Hunt weaves with newspaper, creates flags from books, and uses baling twine, piano wire, wax, steel, fiberglass, gold leaf, plaster, boat building epoxy, and other materials to create one-of-a-kind objects and installations. View her portfolio online. Also see her work at Diehl Gallery. ✦ Scanning the SOFA Chicago 2015 site, my eye caught the work of Susan Collett of Toronto. 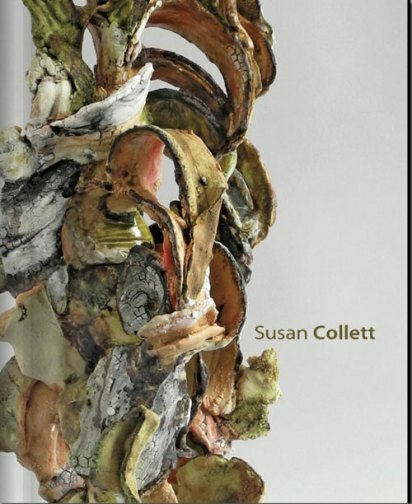 Collett's pieces include clay sculpture and prints. See her portfolio on her Website. Terrific work! See her pdf catalogue (image below). ✦ Gwynn Murrill was the first artist invited to show on Avenue of The Stars in Los Angeles. In the video below, Murrill talks about the individual sculptures in the installation. Read about the exhibition and the public arts program at the Century City Chamber of Commerce Website. An interview is available on YouTube. Sculptures by Murrill are on view through July 2016 at Anderson Sculpture Garden, Iowa State University. ✭ Ripin Print Gallery in Allen Memorial Art Museum, Oberlin College, Oberlin, Ohio, draws from the private collection of Lee Marks and John C. DePrez Jr. for many of the photographs on view in "Hidden Mother". The exhibition examines in particular the 19th Century practice of using pedestals, braces, and other devices to stabilize the bodies of those sitting during long exposures. Examples of the use of the so-called "hidden mother" while photographing children include tintypes, cartes-de-visite, cabinet cards, and other media. The show concludes December 23. ✭ Continuing through December 5 is "Etty Yaniv: Urban Sediments", in the Robert L. Ringel Gallery, part of Purdue University Galleries, West Lafayette, Indiana. The exhibition of abstract "landscapes" includes large reliefs and a three-dimensional floating installation created from torn paper and plastic pieces, scraps of drawings, photo fragments, and other materials. Images of Yaniv's Urban Sediments installations may be viewed at her Website. ✭ An exhibition of the sketchbooks of Reynold H. Weidenaar (1915-1985) that focuses on drawings produced in the mid-1970s continues through January 17, 2016, at Kendall College of Art and Design, Ferris State University, Grand Rapids, Michigan. The exhibition runs concurrently with "Reynold Weidenaar: A Retrospective", comprising selections of prints, watercolors, and oil paintings, at Grand Rapids Art Museum, and "The Creative Process: Drawings, Prints, Plates, and Watercolors by Reynold Weidenaar" at Center Art Gallery, Calvin College, in Grand Rapids. See "Reynold Weidenaar: A Retrospective" online (Google Open Gallery) or download the exhibition e-publication at iTunes. ✭ In the Nichols Gallery, Pitzer Art Galleries, Pitzer College, Claremont, California, is "Liat Yossifor: Time Turning Paint", an examination of abstraction as a political form and of the medium and genre's relationship to 21st Century artistic practice. The solo exhibition concludes December 11. View a current selection of Yossifor's work at her Website. ✭ Skidmore College's Schick Art Gallery, Saratoga Springs, New York, is presenting an exhibition of new works by art faculty members John Galt (iron and bronze sculptures), Doretta Miller (Garden Stories paintings in oils), Lauren Sandler (ceramics), and Peter Stake (abstract paintings). The show runs through December 13. Read excerpts from the artists' statements and view images of works in "2015 Selected Art Faculty Exhibition".
. . . in giving thanks we give ourselves. "Called to Thanksgiving (for my brother)"
And especially for Walt Pascoe, Holly Friesen, David Sandum, Ned L.: my prose piece "Uncommon Community". The series Art for Advent begins Sunday, November 29. 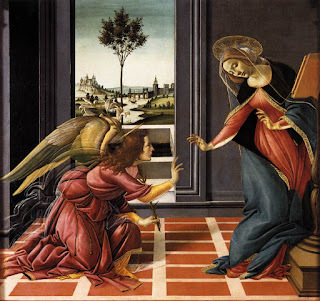 Offering a look at the meaning of Christmas through paintings, the series of five-minute videos is written and narrated by art historian James Romaine, Ph.D. Featured are paintings of the Annunciation by Fra Angelico (November 29), Fra Filippo Lippi (December 6), Sandro Botticelli (December 13), and Leonardo da Vinci (December 20). My thanks to ArtWay for the link to Seeing Art History. This is a found poem that uses words from a recent "Top 10 Poetic Tweets" at Tweet Speak Poetry. Have you heard about "New Sounds", the WNYC program hosted by John Schaefer? A nightly hour of music that may be accessed online, "New Sounds" offers listeners beyond-the-ordinary programs: storytelling-music by composers such as Laurie Anderson, David Byrne, Phillip Bimstein, and the Talking Heads; traditional and electroacoustic music from Poland; a collaboration between Tibetan devotional singer Yungchen Lhamo and Russian pianist and composer Anton Batagov; live concerts, including a 13-guitar performance; and music for heart and breath. Recently, "New Sounds" re-posted a 56-minute program titled "Latin American Poetry Settings" — contemporary musical settings of poems by Sor Juana Ines de la Cruz, Elias Letelier, Gabriela Mistral, Pablo Neruda, and Octavio Paz. These are beautiful settings. The recording artists include Tim Brady, Eric Whitacre, Robert Spano and the Atlanta Symphony Orchestra, and John Adams. At the program link above you'll find information about the selected pieces and links to their sources. A second, companion program, "Poetry Set to Music, II", embedded below, features settings of text by Mahmoud Darwish, Ashik Dertli, Derek Jarman, Pablo Neruda, Kul Nesimi, Rumi, and Saadi. The recording artists are Philip Glass, Sussan Deyhim, Marcel Khalife and Mahmoud Darwish, Donna McKevitt, Maria Neckam, Niyaz, and Robert Spano. These, too, are wonderful. [. . .] grief humbles, / grief softens, / it makes one more / kind. It must. / It must. / It must. 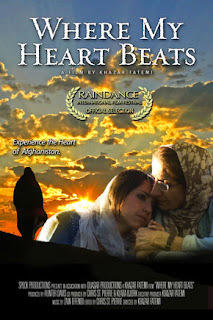 Today's short is the trailer for journalist and filmmaker Khazar Fatemi's Where My Heart Beats (7thart Releasing). The film relates Fatemi's story about returning, after 20 years away, to her childhood home, Afghanistan. Fatemi, who was born in Kurdish Iran, raised in Afghanistan, and currently lies in Sweden, directed the 60-minute documentary, which is to be translated into four languages. The film had its North American premiere in October at La Femme International Film Festival. ✦ The Society of North American Goldsmiths (SNAG) has created a new program, "The Emerging Curators Program", specifically for emerging curators in the fields of jewelry and metalwork. The program provides grants of up to $2,500 to assist recipients in presenting a jewelry or metalwork exhibition, which must open before December 31, 2017. The application deadline is December 31, 2015; applicants will be notified by January 2, 2016. Details are found at the link above. ✦ Cut paper artist Annie Vought was shortlisted for the 2015 American Craft Council's Emerging Voices Awards (the winner was metalsmith Jaydan Moore). Browse her stellar portfolio. 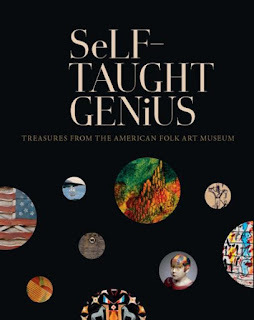 A catalogue featuring Moore and Vought, as well as scholar T'ai Smith and artists Ashley Buchanan, Thaddeus Erdahl, and Matt Hutton, is available. ✦ Yesterday, I featured painter Sophie Ploeg in my Artist Watch column at Escape Into Life. Don't miss it. Her work is gorgeous! ✦ Emily Lynch Victory claims to be "obsessed with mathematics, pattern, and symmetry". The resident of Independence, Minnesota, was featured this past summer in "Artist Day Jobs: Emily Lynch Victory - Painter, Math Trainer" at Minnesota Original. View selections of the award-winning artist's work at Mn Artists and at the blog WholeheARTedCreativity. ✦ Beacon, New York, artist Alison Moritsugu has created a series of log paintings that pays homage to the landscapes of Hudson River School painters while also upending them. Currently, Moritsugu is at Littlejohn Contemporary, New York City, in the solo exhibition "Alison Moritsugu: inconsequence / in consequence". ✦ For glass collectors who might not yet have everything: Dale Chihuly's Raven Black Baskets, a series of handblown and artist-signed pieces inspired by Native American fiber baskets. ✦ I thank my friend, the painter Randall David Tipton, for this next video, which was my introduction to painter Richard Cartwright. What marvelous work, especially the pastels! 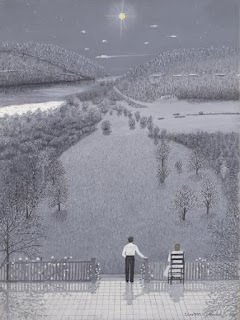 View a selection of work from the exhibitions "Richard Cartwright at Glyndebourne 2015" (May 12 - August 29), "Richard Cartwright: Gently by the Hand" (February 5 - March 7, 2015), and "Richard Cartwright - Where the Lovers Used to Meet" (February 8 - March 2, 2013). Cartwright is represented by Adam Gallery (Bath) and John Martin Gallery (London). ✭ Rutgers University's Zimmerli Art Museum, New Brunswick, New Jersey, is presenting "George Segal" through December 31. (The show has been on view since September 2011.) Segal (1924-2000), who made his mark as a sculptor, also made paintings, drawings, and prints. In the exhibition, which features the many media and subjects the artist pursued, viewers will be able to see the early expressionist figurative painting Old Testament Moon (1958-59), the painted plaster and wood Girl Behind Chair and Bedpost (1975), Bus Shelter (1996), and Segal's seven-part wall relief, Pregnancy Series (1978), comprising serial sculptural imagery of development of the female body during pregnancy. The George and Helen Segal Foundation lent the paintings and sculptures for the show. Read a feature about the Pregnancy Series at ArtDaily. The Zimmerli installed this spring the recently conserved sculpture, Walking Man (1988). Read "Zimmerli Art Museum Displays George Segal 'Walking Man' Exhibit at Rutgers University". ✭ At the Metal Museum in Memphis, Tennessee, work by Linda Threadgill is on view through December 6 in "Master Metalsmith: Linda Threadgill, Cultivating Ornament". Threadgill's work encompasses sculpture, vessels, and jewelry. Read a detailed review of the show at The Commercial Appeal. ✭ Boston's Isabella Stewart Gardner Museum is presenting the work of Canadian multimedia and performance artist Charmaine Wheatley in "Charmaine Wheatley: Souvenirs". On view through July 11, 2016, the exhibition includes 25 drawings and objects, many of which were produced subsequent to Wheatley's museum residency in 2012. As part of the show, Wheatley created a special limited-edition work in the form of a small tin box filled with reproductions of watercolor drawings and notes; it is available for purchase. A selection of images is available at the exhibition link above. ✭ In the Beard Gallery at Wheaton College, Norton, Massachusetts, viewers will find "Tiger in the Living Room: Work by Shelley Reed". The exhibition features recent work, including Reed's 47-foot-long oil on canvas In Dubious Battle (2013), and some older work that provides context for understanding the artist's process and imagery. Her work, which is dramatic and meticulous, is in numerous public and private collections. 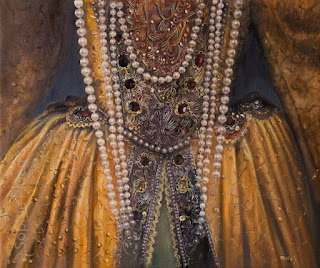 The painter draws her inspiration from 17th Century and 18th Century European paintings and prints. Watch a video preview of the show, which concludes December 16. Reed is represented by Danese/Corey Gallery in New York City. View Reed's paintings at her Website. 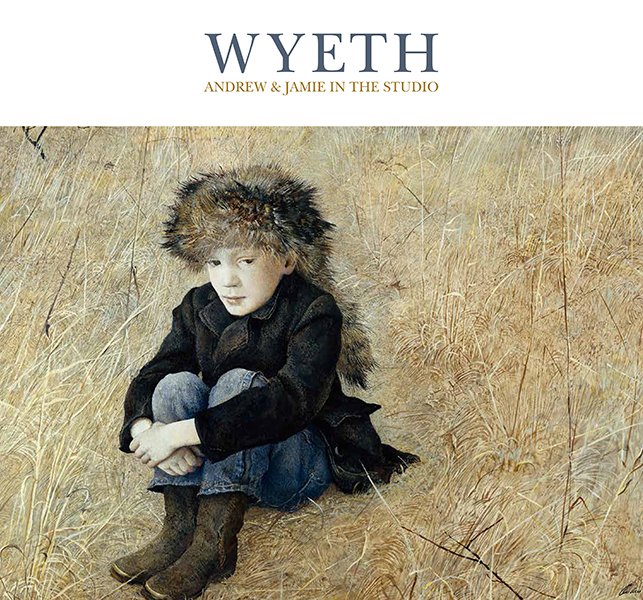 ✭ Colorado's Denver Art Museum is presenting the work of father and son artists Andrew (1917-2009) and Jamie Wyeth in "Wyeth: Andrew and Jamie in the Studio". Providing a look at both Wyeths' work methods and processes, the ticketed exhibition, continuing through February 7, 2016, showcases more than 100 works in pen and ink, graphite, charcoal, watercolor, dry brush, tempera, oil, and mixed media. At its conclusion, the retrospective will travel to Spain, where it will be on view next year, from March 1 to June 19, at Museo Thyssen-Bornemisza in Madrid. View images. An exhibition catalogue (Yale University Press/Denver Art Museum, November 17, 2015) with 286 color illustrations is available. Drybrush on Paper, 13" x 20"
I'm delighted today to showcase in my new Artist Watch column at Escape Into Life a selection of paintings by Dutch artist Sophie Ploeg, the 2013 recipient of the prestigious BP Travel Award. Based in the United Kingdom, where she works full-time as an artist, Sophie draws deep inspiration from 17th Century Dutch art and English Jacobean portraiture. She is, as she told Art Collector magazine, which featured her in its November 2015 issue, "unapologetically feminine" in both her choice of subject matter and her interests in feminist issues and the portrayal of women in art. Included in today's Artist Watch post are eight of Sophie's beautifully realized paintings, her Artist Statement, and a brief biography that spotlights several of her awards and recent exhibitions. Also provided are links to Sophie's Website and FaceBook and Twitter pages, as well as a link to Haynes Gallery, which represents Sophie in the United States. Earlier this year, Sophie participated in her third Women Painting Women exhibition organized by Haynes Gallery; her painting The Guest (see Artist Watch column) was on view. Currently, Sophie's work may be seen through November 29 at the "Annual Open Exhibition" of Royal West of England Academy. 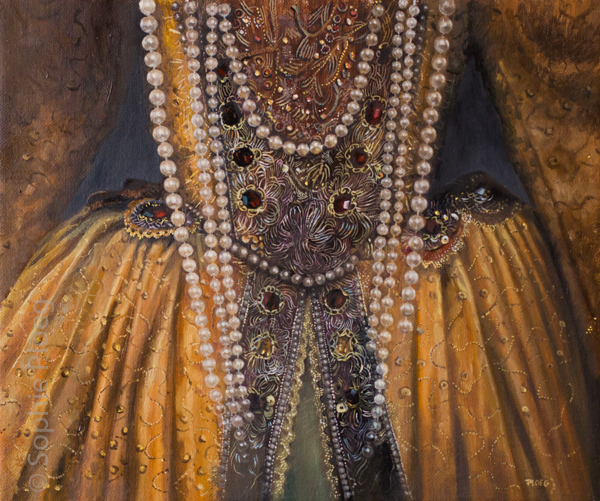 From December 2-13, her painting Three Pearls (included in the Artist Watch post) is on display in the Royal Institute of Oil Painters' "Annual Exhibition 2015". Next spring, her work will be exhibited at Catto Gallery, Hampstead, London. The poem is an excerpt from Berry's 2013 conversation with journalist Bill Moyers. of just so much hot air. 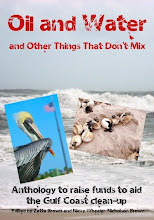 See the physics poetry prompt at TweetSpeak Poetry. All of us are born as patients. . . . Some time ago I wrote a post titled "The Poetry of Illness". (I might as easily have titled it "The Poetry in Illness".) My book Neruda's Memoirs: Poems (T.S. Poetry Press, 2011) was inspired by my own experience of my late brother's cancer, and charts the arc of highs and lows through his illness. Though it bears repeating that poets don't become poets because they have cared for a loved one or have sickened or faced down death, they, along with visual artists, choreographers, and others in and outside the arts*, have since ancient times made our universal concerns about disease, illness, healing, mortality, loss, and grief fertile and compelling sources for their work. Nowhere, perhaps, is this more evident than in the recently published Poetry in Medicine: An Anthology of Poems About Doctors, Patients, Illness, and Healing (Persea Books, 2015), edited by Michael Salcman, a poet, neurosurgeon, art historian, lecturer, and author. At 400 pages and more than 300 poems, this is a generous volume that covers what not only what we suffer but how. Its allotment of poems to 14 well-defined categories — "The Wisdom of the Body: Anatomy & Physiology"; "Contagion, Infections, & Fevers"; "Blindness, Pain, & Other Ailments"; "Powders, Pills, & Other Remedies"; "From the Children's Ward"; "Looking Inside: Procedures, Surgical & Diagnostic"; "Tumors, Trauma, & Tumult"; "Doctors & Other Healers"; "Patients"; "The Wounded Mind: Depression & Dementia"; "The Final Journey: Death & Dying"; "The View from the Other Side of the Bed: Loved Ones of the Sick"; "Hospitals & Other Places of Healing"; "Convalescence" — invites browsing sections of particular interest while also attesting to the considerable breadth and depth of approaches. More than 150 poets, from the ancients to the contemporary, are represented in the anthology, some in more than one of the thematic sections. The contributors comprise an international "Who's Who" of poetry: Ovid, Chaucer, William Shakespeare, William Blake, William Wordsworth, Emily Dickinson, Walt Whitman, Charles Baudelaire, William Butler Yeats, Rilke, C. P. Cavafy, D.H. Lawrence, A.A. Milne, William Carlos Williams, T.S. Eliot, Robert Frost, John Berryman, Elizabeth Bishop, Anne Sexton, Ted Hughes, Sylvia Plath, Robert Lowell. Many of the poets I read in depth — Kelly Cherry, Lucille Clifton, Mark Doty, Claudia Emerson, Donald Hall, Seamus Heaney, Jane Hirshfield, Marie Howe, Jane Kenyon, Denise Levertov, Linda Pastan, Ruth Stone, Wislawa Szymborska — count among the familiar. There also is a selection of poets to whose work I'm newly introduced, among them Robert Cooperman, Alfred Corn, Sarah N. Cross, Thomas James, Brendan Galvin, Jane Mayhall, Anya Silver, Brian Thornton, C. Dale Young. In addition to their positions in literature (poet, writer, author, playwright, editor, translator, critic, scholar) or the arts (painter, art historian, art critic, jazz musician), the poets represent a range of medically related occupations: physician, nurse or nurse-practitioner, cardiologist, pulmonologist, speech therapist, psychologist, oncologist, radiation oncologist. The illnesses and disorders described in the poems are equally as wide-ranging, from the common cold, to the stomach ache; from migraine, to vertigo, to epilepsy; from "tired blood", to AIDS, Alzheimer's, and numerous forms of cancer. Among the poems about cancer is the shortest in the anthology, David Ferry's remarkable two-line "At the Hospital": "She was the sentence the cancer spoke at last, / Its blurred grammar finally clarified." Various poetic forms are represented in the anthology: Sandra M. Gilbert's "Colonoscopy Sonnet", Alice Notley's "Sonnet", Anna Seward's "Sonnet: To the Poppy", Mary Jo Salter's "Half a Double Sonnet"; Brian Thornton's "losing -lar degener-", constructed to show visually how macular degeneration affects eyesight; Kimberly Johnson's "Ode on My Belly Button"; T.S. Eliot's prose poem "Hysteria". on the deaths of children expressed in poems. and if you did might forego the subject. their eyes glimmering with knowledge. to whisper and tell them lies. and they see it from a long way off. For those of us who turn to poetry to make sense of the mysteries of disease and its effects on our bodies, our minds, our emotions, our very sense of identity, this volume, so diverse in its offerings, is hugely welcome. It's essential reading. 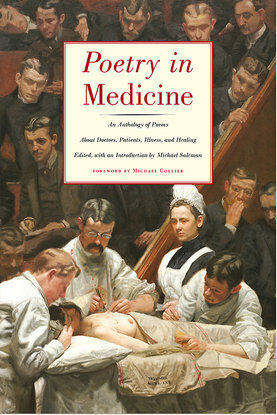 Poetry in Medicine thoughtfully includes a Foreword by poet, professor, and Bread Loaf Writers' Conference director Michael Collier; a Preface, and a nine-page Introduction by the editor, as well as brief biographies of each poet, an index of poets, and a list of sources for the poems presented. * See, for example, my posts "Hollis Sigler: Painting Hope on Canvas"; "Monday Muse: Bettina Judd"; "Patients Like Me"; "Wednesday Wonder: 'Bottle World' Healing Garden"; and "Healing With Poetry: Interview with Poet Fred Foote" (Parts 1, 2, 3) at TweetSpeak Poetry. Also see the work of Rafael Campo, a poet-physician whose work is included in the anthology. Included on his Website are a selection of his essays on literature and medicine and information on his books, which include What the Body Told, The Desire to Heal, The Healing Art, and Alternative Medicine. PBS interviewed Campo in 2014; see "Rafael Campo Uses His Stethoscope to Explore Rhythms of Poetry" and "Rafael Campo's Student Physicians Embrace Poetry to Hone Art of Healing". Being in grief, it turns out, is not unlike being in love. . . .
Read Doty's fine new collection Deep Lane (W.W. Norton, 2015). A review is posted at The Guardian. Today's 20-minute short is writer-director Jason LaMotte's The Library, which stars Missy Keating as "Emily". His inspiration, LaMotte said in an interview with The Guardian, was a neighborhood library in Houston, Texas, which "still carries a magical feeling for me. . . ."
The cinematographer and film editor was Gabriel Larmour. The music, Take Me, was scored by 6 Day Riot. ✦ The stellar glass artist Graham Muir sculpts technically difficult creations using techniques that have taken him years to develop. Prepare to be wowed as you browse his remarkable Waves series. His desire, he says in his Artist Statement, is, simply, "to make beautiful glass". See additional images of Muir's work at This Is Colossal. ✦ Are you interested in opportunities to collaborate, showcase your work, improve your professional career, and serve your community? Sign up with this ARTs East New York Artist Registry, a nonprofit artistic programming organization. ✦ Accompanying the exhibition "Self-Taught Genius" at Amon Carter Museum of American Art, Ft. Worth, Texas, through January 3, 2016, is the fully illustrated catalogue Self-Taught Genius: Treasures from the American Folk Art Museum. The 296-page catalogue features essays by curators Stacy C. Hollander and Dr. Valerie Rousseau. ✦ The desert and space remain rich sources for exploration in Stella Maria Baer's wonderful paintings and photographs. A selection of Baer's work is available as prints. Baer's paintings and Elisa Berry Fonseca's nature-inspired, fantastical sculptures are on view through December 6 in "Genesis" at Galerie 102 in Ojai, California. ✦ The video below features Portuguese artist Pedro Cabrita Reis's discussing his conceptual "intervention" A Remote Whisper, part of the Collateral Events of the 55th Venice Biennale (June 1 - November 24, 2013). The installation required an entire floor in Palazzo Falier. 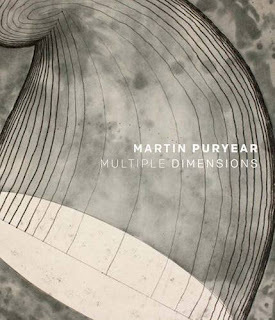 ✭ In New York, The Morgan Library & Museum is presenting work by one of my favorite artists: Martin Puryear. Organized by The Art Institute of Chicago and continuing through January 10, 2016, "Martin Puryear: Multiple Dimensions" showcases some 70 drawings, prints, and sculptures to show the evolution of Puryear's ideas from one medium to another. According to the library, most of the drawings, the principal focus of the show, come from the artist's personal collection and are being exhibited for the first time. See a selection of images. A catalogue with more than 100 color plates accompanies the exhibition. 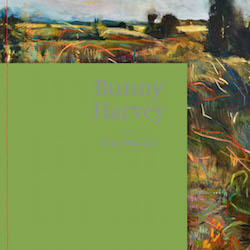 ✭ Painter and now-retired Wellesley College art professor (1976-2015) Bunny Harvey is the subject of "Bunny Harvey: Four Decades", on view through December 13 at the college's Davis Museum, Wellesley, Massachusetts. The free exhibition includes Harvey's well-known landscape paintings, other large and small paintings, and a large selection of drawings that show Harvey's conceptual and thematic explorations—approximately 70 works in all. Terrific work! 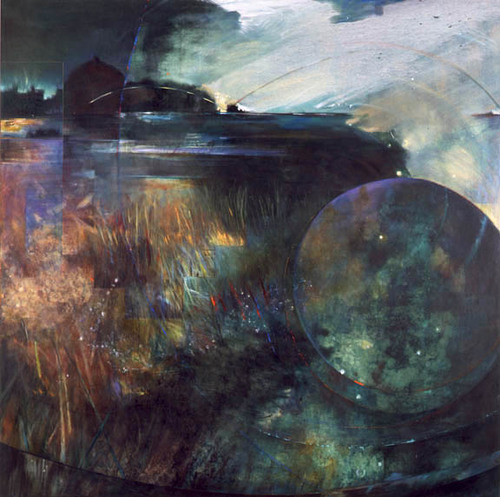 Oil on Canvas, 78" x 78"
On Friday, December 4, at 3:00 p.m., the museum is hosting "In Celebration of Bunny Harvey: A Symposium" that will include presentations by former colleagues and students. ✭ H.O. Kelly, Rev. Johnnie Swearingen, Velox Ward, and Clara McDonald Williamson are among the artists featured in "Texas Folk Art" at Amon Carter Museum of American Art. Works in the exhibition, which is on view through September 19, 2016, depict rural life, daily chores, and family and community rituals. ✭ Colorado's Denver Art Museum continues "Super Indian: Fritz Scholder, 1967-1980" through January 17, 2016. Featuring more than 40 of Scholder's rarely seen monumental paintings and lithographs, the exhibition examines the late artist's blending of figurative and pop art influences. 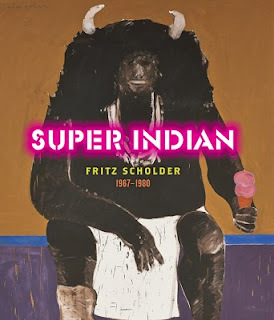 Taking its title from the painting Super Indian No. 2, the show is organized thematically and stylistically. It will travel to Phoenix Art Museum (February 26 - June 5, 2016) and Nerman Museum of Contemporary Art, Overland Park, Kansas (June 23 - September 18, 2016). View images at the exhibition link above. An illustrated catalogue accompanies the exhibition. ✭ In collaboration with Fine Arts Museums of San Francisco, Kimbell Art Museum, Ft. Worth, is presenting "Monet: The Early Years". Continuing through January 29, 2016, the exhibition includes approximately 60 paintings made during the period 1858-1872. The paintings come from museums in the United States, Europe, and Japan. ✭ Continuing through March 20, 2016, at the Smithsonian American Art Museum, is "Irving Penn: Beyond Beauty", the first museum retrospective in 20 years of the artist's work. Included are street scenes, celebrity portraits, Paris fashion photography, and private studio images. Besides some of Penn's most well-known works are 100 lesser-known images, created in the last years of Penn's life and career and on view for the first time (some selections may be seen online). Also, some Super 8 mm films of Penn in Morocco, made by muse and wife Lisa Fonssagrieves Penn, are in the show. 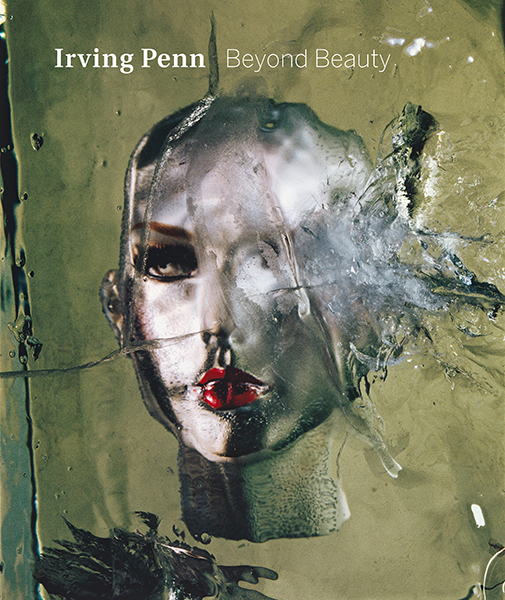 View the online gallery for "Irving Penn: Beyond Beauty". The exhibition travels from Washington, D.C., to Dallas Museum of Art (April 15-August 14, 2016) and College of Art and Design, Lesley University, Cambridge, Massachusetts (September 12-November 13, 2016), and thereafter to Frist Center for the Visual Arts, Nashville, Tennessee (February 24, 2017 - May 29, 2017) and Wichita (Kansas) Art Museum (September 30, 2017 - January 7, 2018). A catalogue with more than 160 of Penn's images (see image below) accompanies the exhibition. Below is the trailer for the documentary Robert Bly: A Thousand Years of Joy (Zinc Films, 2014) from director and producer Haydn Reiss. The film, which took four years to make and involved visits to five states and two countries, shows us Robert Bly's life journey — from son of a farmer, to radical anti-war protester, to "wild man" of a men's movement. The well-known and celebrated translator of poets Pablo Neruda (1904-1973) and Rumi and Kabir, among others, Bly also is an editor, the author of numerous collections of poetry as well as prose, and himself the subject of more than a half-dozen books and another film, A Man Writes to a Part of Himself: Robert Bly, by Mike Hazard and Greg Pratt. The documentary A Thousand Years of Joy includes interviews with poets including Donald Hall, Edward Hirsch, Jane Hirshfield, the late Philip Levine (1928-2015), Gary Snyder, and Tracy K. Smith and the writer and poet Louise Erdrich, among other literary and cultural figures. The film recently was screened at this year's Mill Valley Film Festival, in California, and is scheduled to be shown in April 2016 at Monmouth University in New Jersey. The DVD is available to purchase at the film's Website. 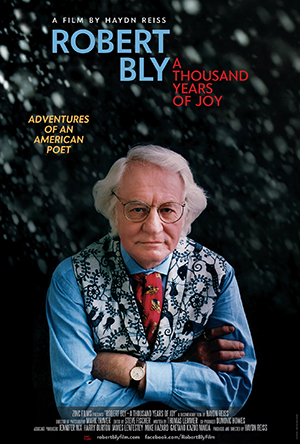 Read my profile of Robert Bly from 2011. Among Reiss's many other films are Every War Has Two Losers (2009; see the trailer), about the late poet William Stafford, and Rumi: Poet of the Heart (1998). Today's post looks at a Collateral Event at this year's 56th Venice Biennale: the suite the rest is smoke, by installation, performance, and film artist Helen Sear. The solo exhibition is at Ludoteca Santa Maria Austilatrice, a church and former convent currently used as a community center. Sear, who represents Wales at the Biennale, made a number of works for the rest is smoke: stack (a composite of scores of photographs of felled tree trunks, printed on an aluminum sheet, and cut into seven-foot-high vertical strips that are stacked against a wall), the beginning and end of things, caetera fumus (a gorgeous lightbox), company of trees (a projection), altar, and base and brand. In the video below, Sear takes viewers on a tour of her exhibition, sharing some of her ideas about her pieces and highlighting her artistic processes. At the site Experience Wales in Venice are short videos on each of the components of the rest is smoke, interviews, a timeline, installation documentation, a gallery (see Exhibition page), and other learning resources. The installation in Venice was documented by photographer Michal Iwanowski. Sear's exhibition concludes November 22. An illustrated catalogue, published by Ffotogallery, is available. Read Steven Connor's essay in the catalogue. drivers in our household. Fair enough! fails to win the MegaMillions Powerball. enough for either of us to grow old together. I wrote this poem in response to TweetSpeak Poetry's new prompt for November: Math, Science & Technology. See this week's prompt to write a physics-related love poem. Pull out your notepads and mark down these forthcoming or recently published titles, which promise to be of no little interest. 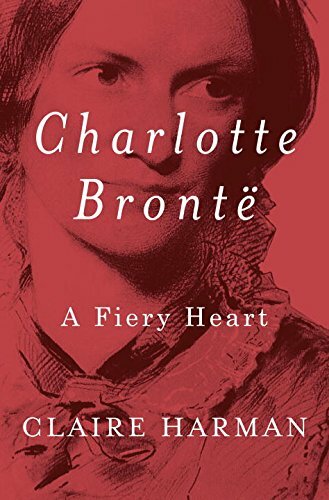 ✭ Participate in next year's bicentennial celebration of the birth of Charlotte Bronte (1816-1855) by reading Claire Harman's Charlotte Bronte: A Fiery Heart (Knopf, March 2016). Harman, a biographer of Jane Austen, Robert Louis Stevenson, Fanny Burney, and Sylvia Townsend Warner, draws on correspondence not available to other, earlier Bronte biographers to examine how unrequited love influenced Bronte's personal and writing lives. The book is available to pre-order. 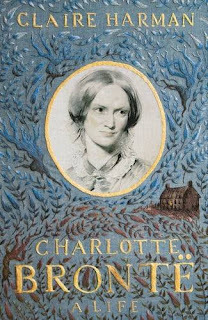 Harman's work was released October 29 in the United Kingdom, with a different cover and title: Charlotte Bronte: A Life (Viking Penguin UK, 2015). Read Mark Bostridge's article "Charlotte Bronte: Cinderella or Ugly Sister? ", The Spectator, October 24, 2015. On Friday, November 13, Harman will appear at the National Theatre to discuss and sign her book. For details, see "Charlotte and Jane" on the National Theatre Website. On November 14, Harman will be present at Dublin Book Festival. Read about plans for 200th anniversary celebrations. 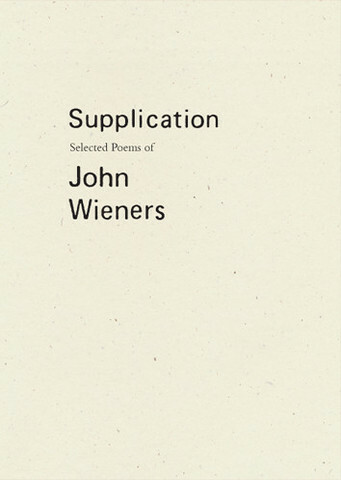 ✭ Seattle-based Wave Books released Supplication: Selected Poems of John Wieners on October 6. According to the publisher, the collection, which is available in paper and as a limited-edition hardback, includes the complete text of Wiener's The Hotel Wentley (1958 edition), collages by Wieners, facsimiles, and poems from rare sources. The editors are Joshua Beckman, CAConrad, and Robert Dewhurst. See the post "John Wieners Selected (Supplication) and Journals (Stars Seen in Person)" at The Allen Ginsberg Project. John Wieners (1934-2002) was the founder of Measure magazine, which existed from 1957 to 1962, and a disciple of Beat poet and essayist Charles Olson (1910-1970). A member of the group of "New American" poets, he wrote seven poetry collections, among other work. The John Wieners Papers are at Syracuse University. 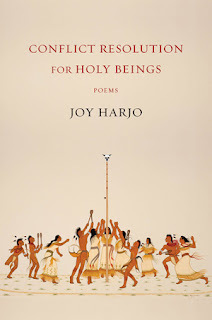 ✭ A new collection by Mvskoke Nation member Joy Harjo, Conflict Resolution for Holy Beings (W.W. Norton), was published September 28. I last read Harjo's Crazy Brave (W.W. Norton, 2014), a memoir, and look forward to taking up this release. 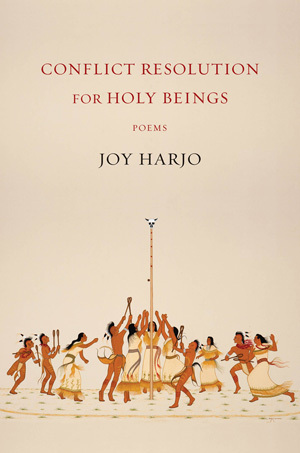 Read "Monday Muse: Joy Harjo Performs 'Eagle Song'" at Writing Without Paper.